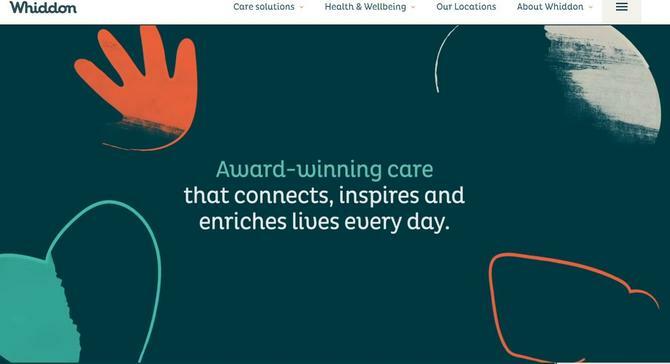 Whiddon has taken the wrappers off the first company rebrand in its 70-year history, a move designed to emphasise the aged care provider’s relationship-based approach in market as well as its innovative spirit. Whiddon general manager of marketing and communications, Amiria MacKinnon, told CMO the decision to rebrand from ‘The Whiddon Group’ to ‘Whiddon’ and overhaul its visual identity kicked off after the group’s 70-year anniversary in 2017. The group has retained its founder’s name and heritage while introducing visual cues more in line with the group’s warm playful and compassionate personality, she said. It’s also the latest step in a multi-pronged approach to better differentiate the organisation in market. It’s work that arguably started with the appointment of its inaugural marketing and PR team seven years ago, as well as development of a customer experience framework, dubbed the ‘Whiddon Way’. More recently, it’s led Whiddon to evolve its solution-based sales team. “The biggest reason was the need to differentiate in the market. Aged care is a crowded market, and the identities in that space are one of first things a consumer sees. Yet they have looked very similar,” MacKinnon explained. Against this, the market has shifted from a demand-led approach, to one where consumers have choice. “Several have already recognised the need to refocus on the consumer,” she said. The brand refresh doesn’t stand in isolation, however. Over the past five years, MacKinnon said Whiddon has fundamentally shifted its approach, building new internal frameworks that help articulate this value proposition. “We have spent a lot of time getting the foundations right. Looking at our personality and internal culture for example, saw us develop a cultural framework,” she continued. “Because so much of our work is about people… getting that base right has been critical to deliver on what we’re promising now. “Through the Whiddon Way we have implemented all those systems, processes, training and orientation where we deliver on the brand promise. We also are a care organisation, and we’ve developed a model of care that’s relationship-based. The brand refresh commenced in 2018, in partnership with boutique Sydney creative agency, There. Whiddon’s new logo and visual look use a more vibrant colour palette and fun graphics, and are designed to highlight the organisation’s positive philosophy, MacKinnon said. As examples of this personality, she pointed to research-founded creative ageing programs such as HenPower, which sees chickens kept in aged care homes; Dancewise, in partnership with the Dance Health Alliance; and Vintage Bites, a social food program. “We are consistently challenging through best-practice approaches and trials, including our MyLife model of care, our Best Week program and generally changing perceptions of what ageing and aged care really look like,” MacKinnon said. Initially, the branding was rolled out across Whiddon’s website and social presence because these are often the families’ first interaction with the brand, MacKinnon said. “It’s mostly a visual refresh, although we have been using data for the past year… learning from customer feedback and actual data to ensure our new website is more relevant,” she said. “Aged care is a maze and something so many families go through. It’s about making the experience as simple as possible, intuitive and human, and trying to anticipate their needs. The next step is to rollout the visual identity physically across its 20 aged care homes, 12 retirement villages and nine home care hubs. Alongside the brand and positioning work, Whiddon has been investing in its internal sales and customer service capabilities, establishing a dedicated customer relations team and implementing a CRM. This team is working hand-in-hand with marketing, MacKinnon said, and is very much focused on engagement that starts with education, through to advocacy and providing solutions. “We’re now trying to take our frontline employees on that journey,” she added.